Entrodex There are 2 products. 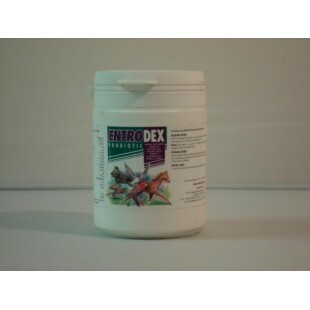 Entrodex Probiotic is a pet supplement that contains guaranteed viable friendly bacteria - Vitamins A D and B complex - electrolytes and a source of dietary energy from soluble carbohydrate. Entrodex has been independently proven to contain more robust viable friendly bacteria than many other branded probiotics.